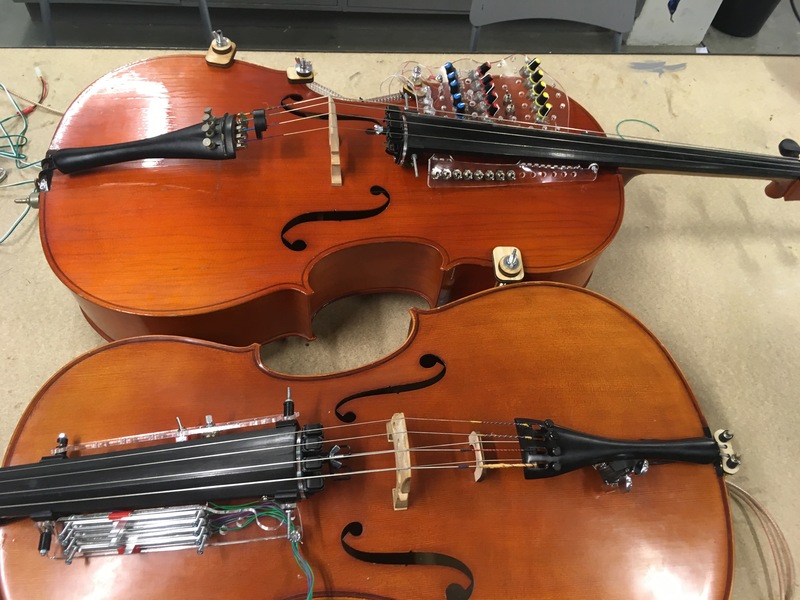 We have an Emute Lab research lunch meeting on March 23rd, where Alice Eldridge and Chris Kiefer will present the results of their recent work on the feedback cellos, conducted at the Icelandic Academy of the Arts with Halldór Úlfarsson. That was a collaboration that started at the Live Interfaces conference (www.liveinterfaces.org) where Halldór ran a workshop with composers and performers. We will report on a recent trip to the Iceland Academy of the Arts to visit instrument designer Halldór Úlfarsson, who we have been collaborating with on the design of two Feedback Cellos. These unique hybrid instruments have been evolving quickly since we first made them last summer. We will present the latest developments, and discuss some issues around design and performance that we have been engaging with in this project.